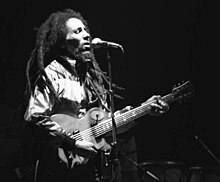 Put down your guns and listen to Bob Marley. The cohesion of States is threatened by brutal ethnic, religious, social, cultural or linguistic strife. Social peace is challenged on the one hand by new assertions of discrimination and exclusion and, on the other, by acts of terrorism seeking to undermine evolution and change through democratic means. 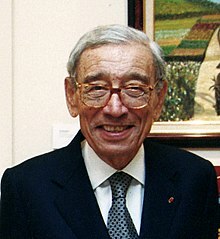 Boutros Boutros-Ghali (14 November 1922 – 16 February 2016) was an Egyptian diplomat who was the sixth Secretary-General of the United Nations from January 1992 to December 1996. We have entered a time of global transition marked by uniquely contradictory trends. Regional and continental associations of States are evolving ways to deepen cooperation and ease some of the contentious characteristics of sovereign and nationalistic rivalries. National boundaries are blurred by advanced communications and global commerce, and by the decisions of States to yield some sovereign prerogatives to larger, common political associations. At the same time, however, fierce new assertions of nationalism and sovereignty spring up, and the cohesion of States is threatened by brutal ethnic, religious, social, cultural or linguistic strife. Social peace is challenged on the one hand by new assertions of discrimination and exclusion and, on the other, by acts of terrorism seeking to undermine evolution and change through democratic means. An Agenda for Peace : Preventive diplomacy, peacemaking and peace-keeping (1992) - online text. 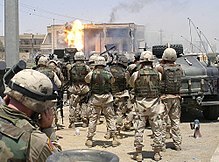 The concept of peace is easy to grasp; that of international security is more complex, for a pattern of contradictions has arisen here as well. As major nuclear Powers have begun to negotiate arms reduction agreements, the proliferation of weapons of mass destruction threatens to increase and conventional arms continue to be amassed in many parts of the world. As racism becomes recognized for the destructive force it is and as apartheid is being dismantled, new racial tensions are rising and finding expression in violence. Technological advances are altering the nature and the expectation of life all over the globe. The revolution in communications has united the world in awareness, in aspiration and in greater solidarity against injustice. But progress also brings new risks for stability: ecological damage, disruption of family and community life, greater intrusion into the lives and rights of individuals. There are signs that the system of collective security established in San Francisco nearly 50 years ago [at the founding of the UN] is finally beginning to work as conceived . . . We are on the way to achieving a workable international system. Cited in the Awake! magazine 1996, 4/22; article: Is a World Without War Possible? I believe it will take time to find a solution to the problem. Thus we must have patience. Unvanquished : A U.S. - U.N. Saga (1999), p. 198. No, because Disneyland is not an independent state. The days of dictatorship are over. … We have come a long way. Millions of Egyptians and Iraqis have cast their votes at the ballot box. The Palestinians will follow suit. Cultural pluralism is as important as political and multi- party pluralism. Religious, linguistic and cultural pluralism are vitally important hallmarks of a true democracy. We are against cultural hegemony of any sort. Diversity is a mark of a healthy democracy. I will continue to work for the advancement of freedoms in Egypt and the Arab world until I drop dead. … Education itself — which can and should play an important role in the apprenticeship of tolerance and respect for other people — sometimes encourages identitarian closure, or even extremist behaviour … It is therefore vital to ensure that education does not encourage rejection of other people or identitarian closure, but that on the contrary it encourages knowledge and respect for other cultures, other religions and other ways of being and living. I is here with the geezer who was the Secretary-General of the United Nations. His name be none other than my man, Boutros Boutros Boutros-Ghali. The American view of the UN is broadly that it is a place where they can make their viewpoint and their interests felt. It was they who insisted that Boutros Boutros-Ghali step down and the present Secretary-General, Mr Kofi Annan, replace him. The situation also gave U.N. Secretary-General Boutros-Ghali a chance to start the U.N.'s disegagement from Bosnia, something he had long wanted to do. After a few meetings with him, I concluded that this elegant and subtle Egyptian, whose Coptic family could trace its origins back over centuries, had disdain for the fractious and dirty peoples of the Balkans. Put bluntly, he never liked the place. In 1992, during his only visit to Sarajevo, he made the comment that shocked the journalists on the day I arrived in the beleaguered capital: "Bosnia is a rich man's war. I understand your frustration, but you have a situation here that is better than ten other places in the world. … I can give you a list." He complained many times that Bosnia was eating up his budget, diverting him from other priorities, and threatening the whole U.N. system. "Bosnia has created a distortion in the work of the U.N.", he said just before Srebrenica. Sensing that our diplomatic efforts offered an opportunity to disengage, he informed the Security Council on September 18 that he would be ready to end the U.N. role in the former Yugoslavia, and allow all key aspects of implementation to be placed with others. Two days later, he told Madeleine Albright that the Contact Group should create its own mechanism for implementation — thus volunteering to reduce the U.N.'s role at a critical moment. Ironically, his weakness simplified our task considerably. Richard Holbrooke, To End a War, pp. 174-175. The struggle over the U.N.'s role foreshadowed the American determination a year later to oppose Boutros-Ghali's quest for a second term as Secretary-General. More than any other issue, it was his performance on Bosnia that made us feel he did not deserve a second term — just as Kofi Annan's strength on the bombing in August had already made him the private favorite of many American officials. Although the American campaign against Boutros-Ghali, in which all our key allies opposed us, was long and difficult — especially for Allbright, who bore heavy and unjust criticism for her role — the decision was correct, and may well have saved America's role in the United Nations. Richard Holbrooke, To End a War, p. 202.